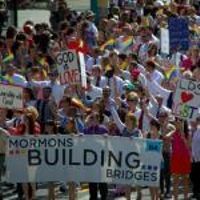 Mormons Building Bridges Presents: Community ConversationsAugust's Conversation: Who is responsible for addressing the bullying of lgbtq teens? A moderator from Mormons Building Bridges will facilitate a conversation where all participants will have the opportunity to speak their truth. The evening will not be about trying to change anyones mind, but rather a chance to share how you approach the issue, and listen respectfully to the approaches of others. These meetings are grounded in the conviction that the human experience is complex and progress only comes when we listen, love, and seek to understand. Tuesday August 20, 7:00. Groups will meet at the Prove, Park City, Logan, and Downtoen Salt Lake Public Libraries.